It’s time to decorate some pumpkins! 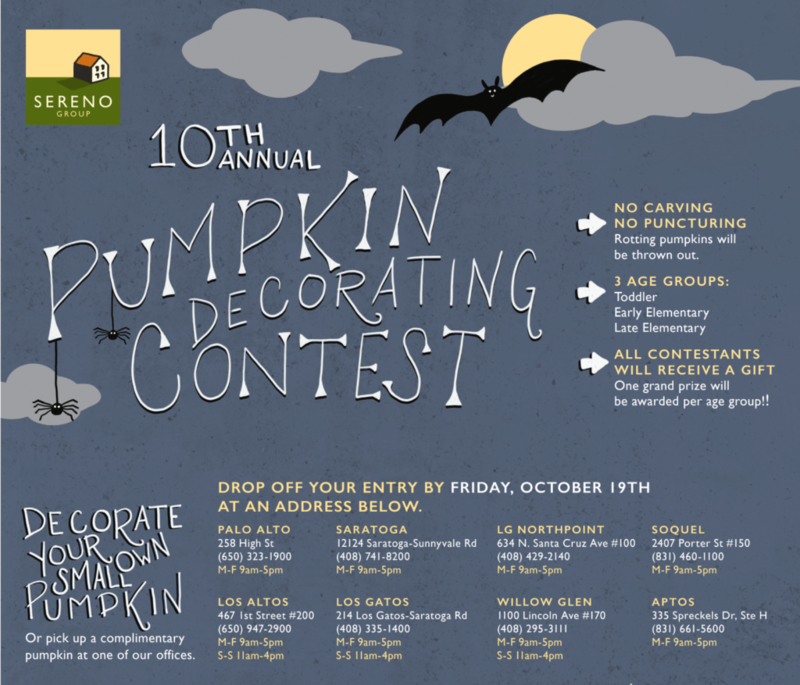 Sereno Group is hosting its 10th annual pumpkin decorating contest and invites kids to transform a small pumpkin into a work of art! This is not a carving contest and there should be no punctures of any kind as these works of art will need to last, and any cuts will cause rotting. Every child who enters will get a small gift. Voting on the best work of art will take place during office meetings for each of three age groups, with the winner of each getting a prize. Small pumpkins are being given away at the Sereno Group office locations in Los Gatos, Saratoga, Willow Glen, Aptos / Santa Cruz, Los Altos and Palo Alto – please see flier for office hours. O[tionally, entrants may bring their own small pumpkin. The deadline is Friday, October 19th, 2018. 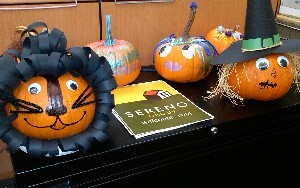 Have fun – we cannot wait to see the decorated pumpkins!